APA & MLA Formatted Citations! Are you frustrated by the APA or MLA citation styles? The library provides resources to help you to create, format, and manage bibliographies. One of our favorite resources is the OneSearch Cite Tool. Visit the Cite (APA, MLA & Tools) page in the Library Help Center for citation examples, Zotero, plagiarism information, and a citations tutorial. Have you heard of Zotero? Zotero is a powerful citation and research management tool that can save you time and help safe-guard your research. This program allows you to import citations and save PDFs of most resources to your personal Zotero Library. Your Zotero Library helps you organize research, link back to articles and webpages, and provides the information needed to create a bibliography and in-text citations. Zotero is compatible with Microsoft Word and LibreOffice, and using either of these programs, it will instantly generate citations formatted in thousands of styles. 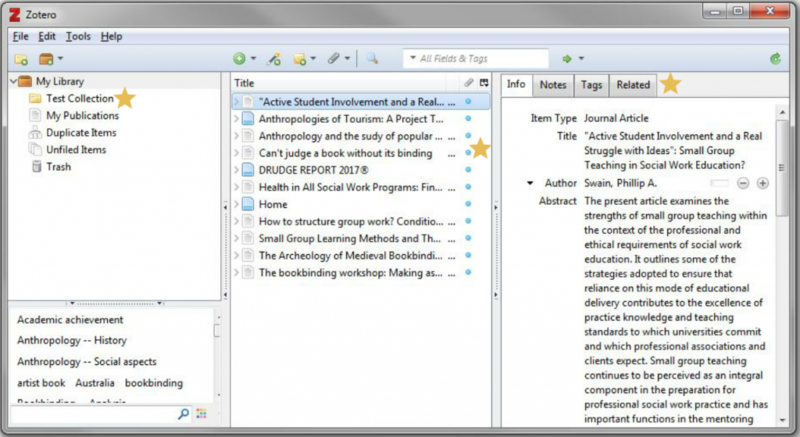 With the Zotero sync tool, you can access your research from any computer with an internet connection, and it is compatible with most major internet browsers. Perhaps best of all, Zotero is free to use. While this tool usually takes experienced researchers several days to learn, we highly recommend taking the time to master this resource if you are completing graduate-level research. If you are interested in using Zotero, please visit the UI&U help page for step-by-step instructions on creating a Zotero account. Your UI&U Librarians are also available for one-on-one training and assistance. 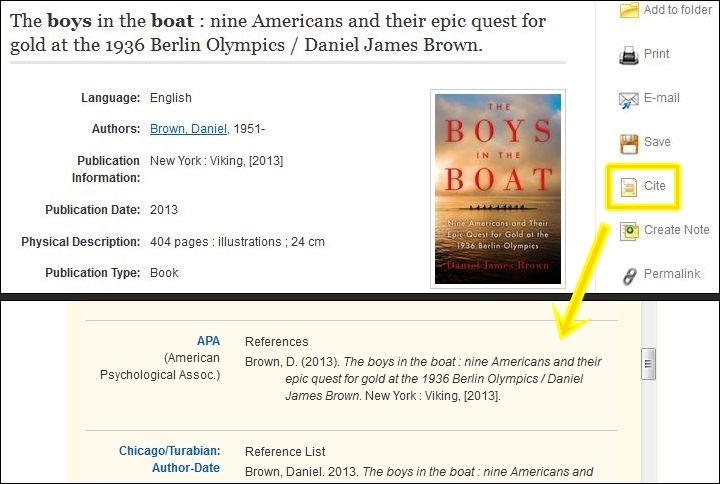 Did you know that the UI&U Library’s OneSearch provides formatted APA and MLA citations that you can copy and paste into your bibliography? Watch the video below to learn more about this amazing tool. Copy & paste the citation into your research paper. Fix any errors. The UI&U Librarians are committed to helping you succeed in your academic program. We know that juggling life as an adult student is a challenge, and we have compiled a list of ways we can make things easier. Please don’t hesitate to get in touch with us if you are struggling to use the library or find the resources you need. We are happy to help and will work around your schedule. Ask a Librarian by email (library@myunion.edu), phone (513-487-1487), text (513-854-0542), or live chat. Would you like to become a better presenter? Better at organizing your time? Interested in finally mastering APA citations? The UI&U Library has many handbooks, videos, and other resources that can help make this your best term yet! © 2019 Union Institute & University. All Rights Reserved.